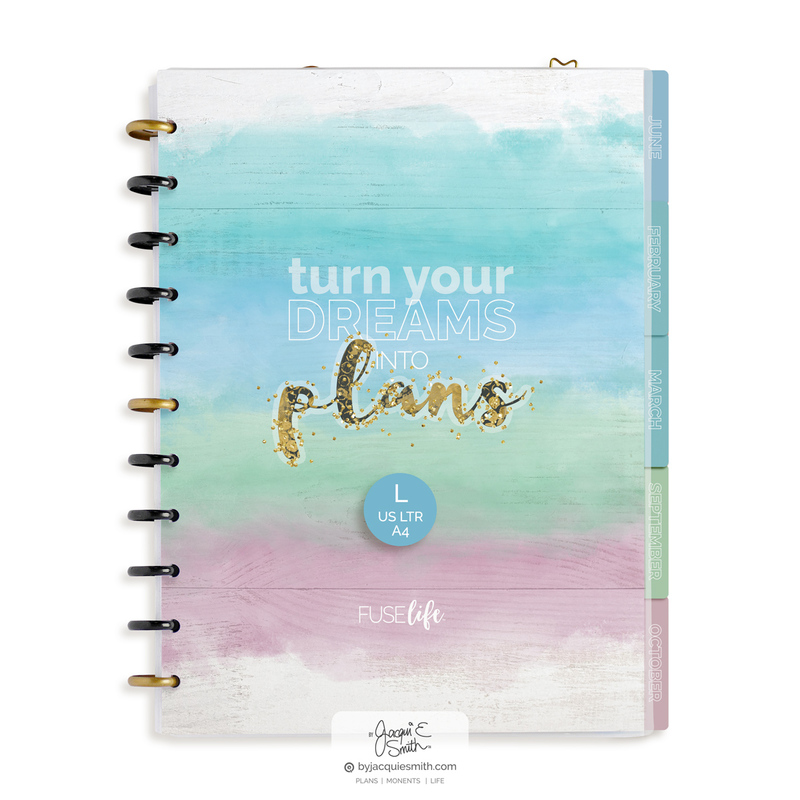 • Achieve your goals with less overwhelm + more joy! 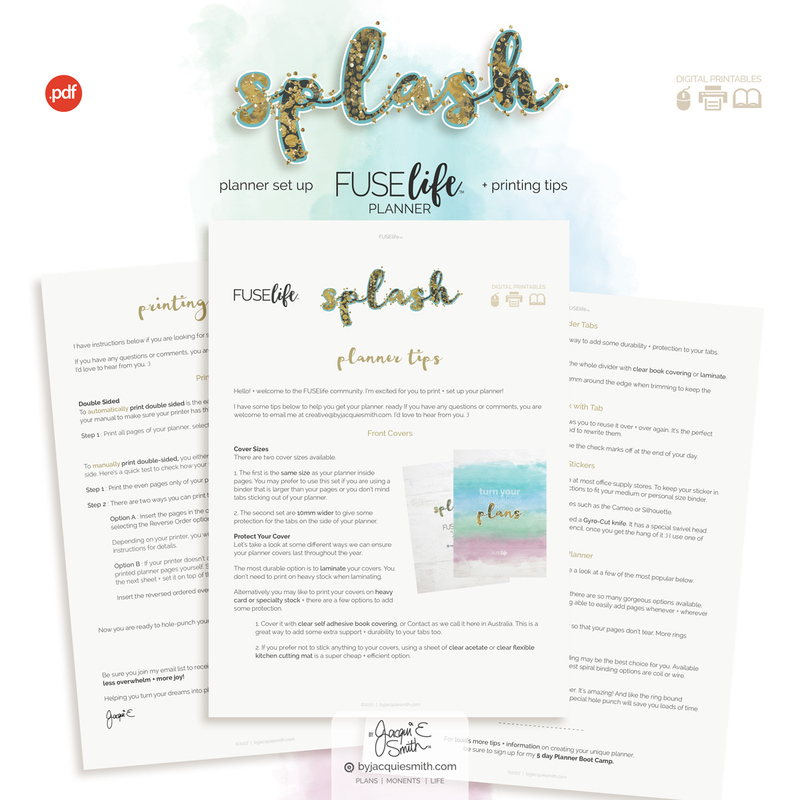 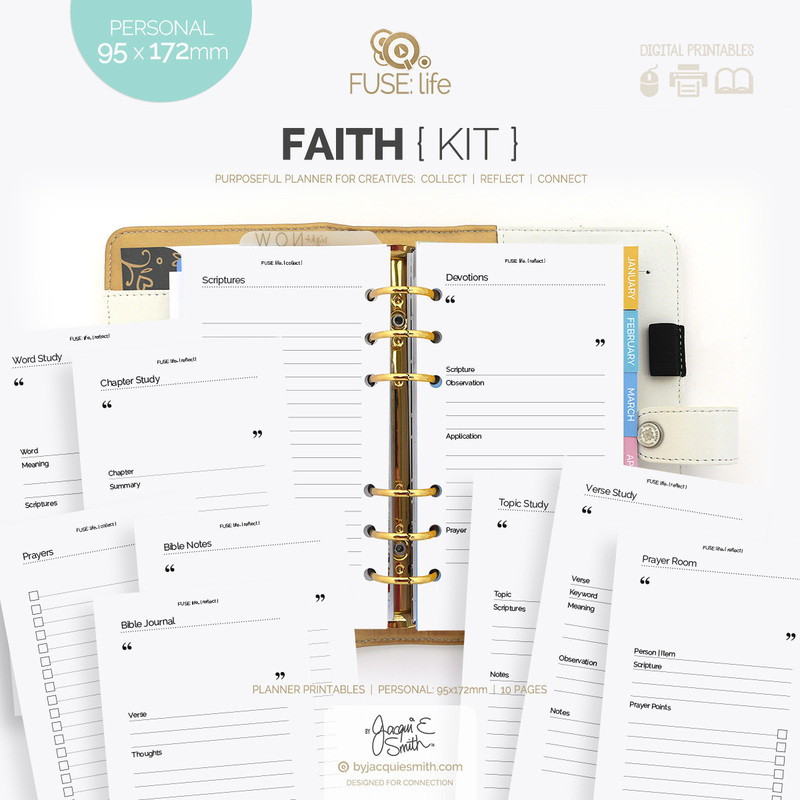 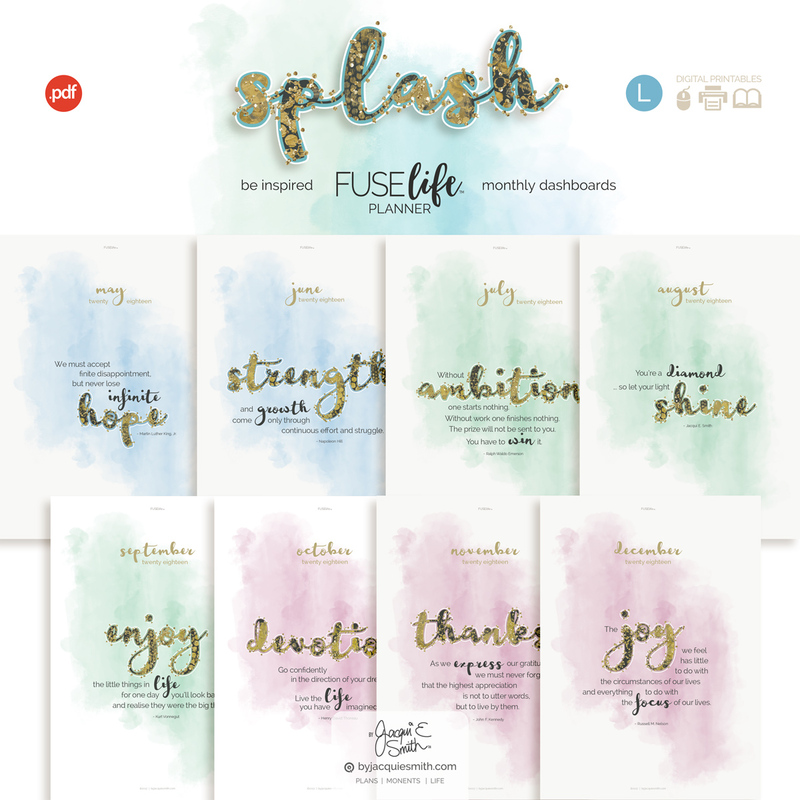 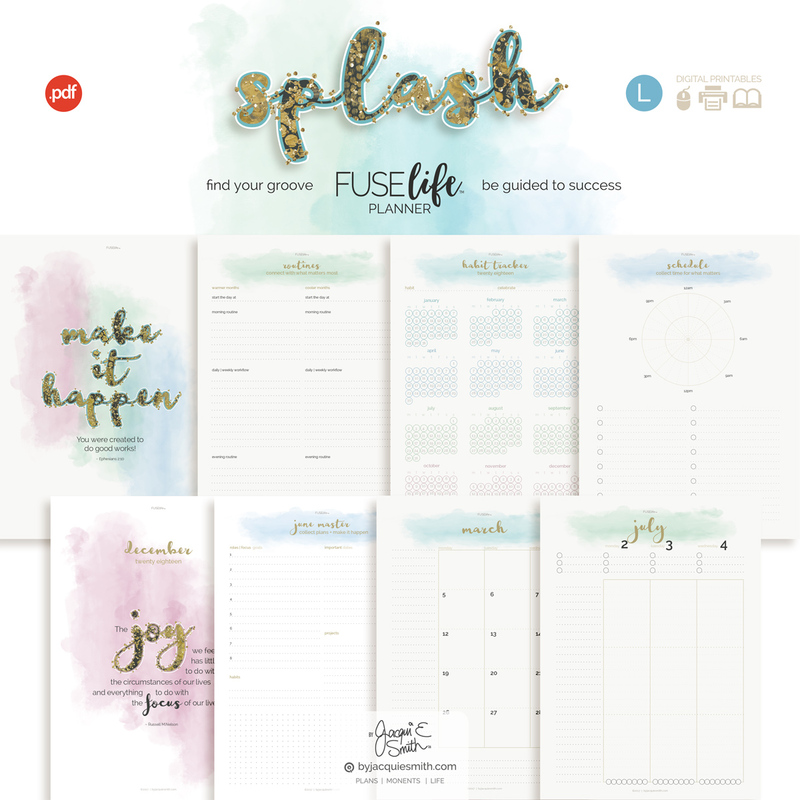 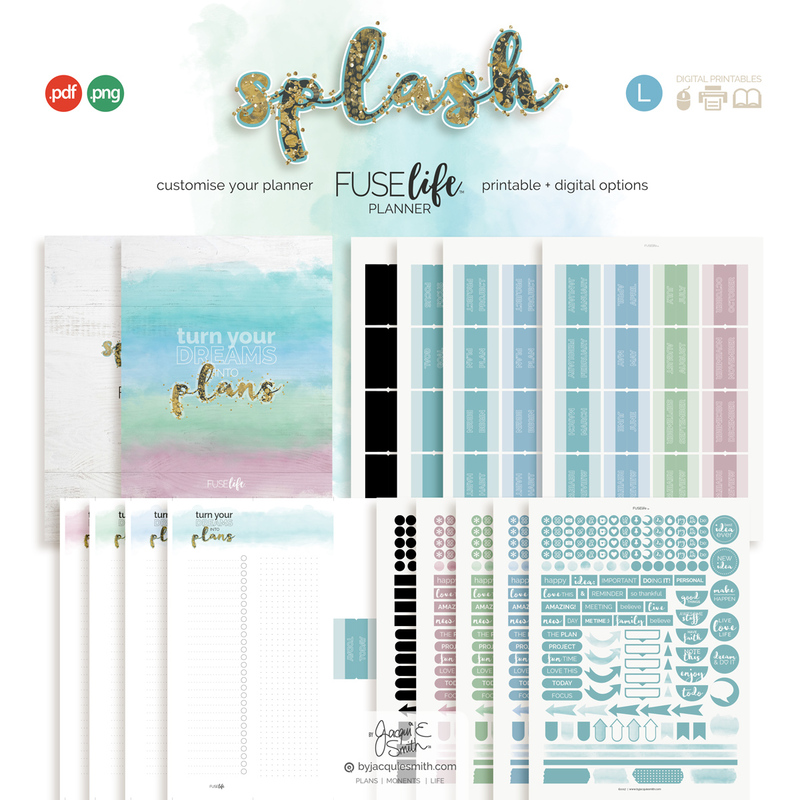 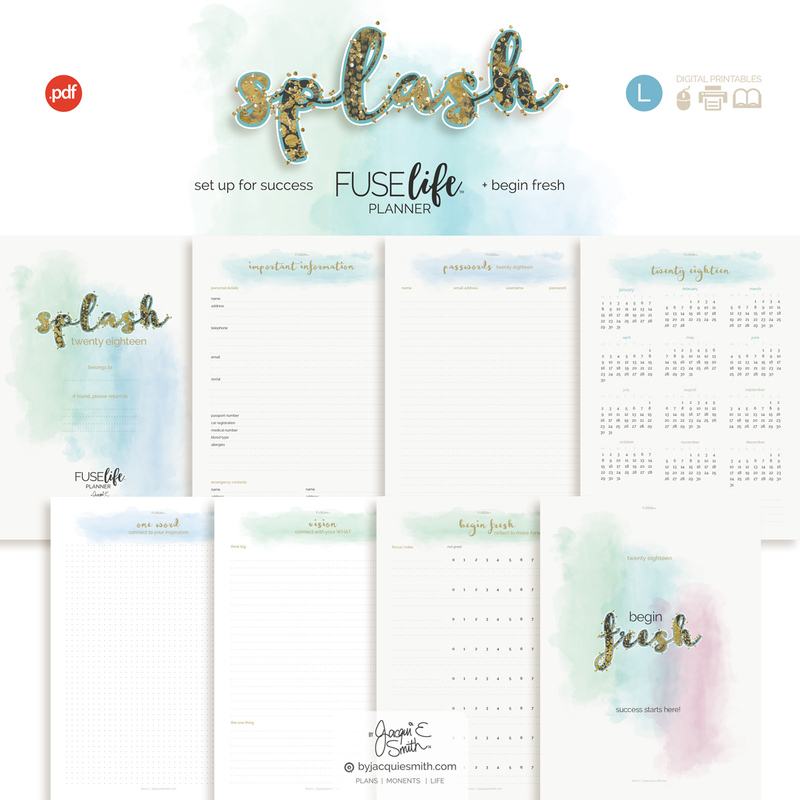 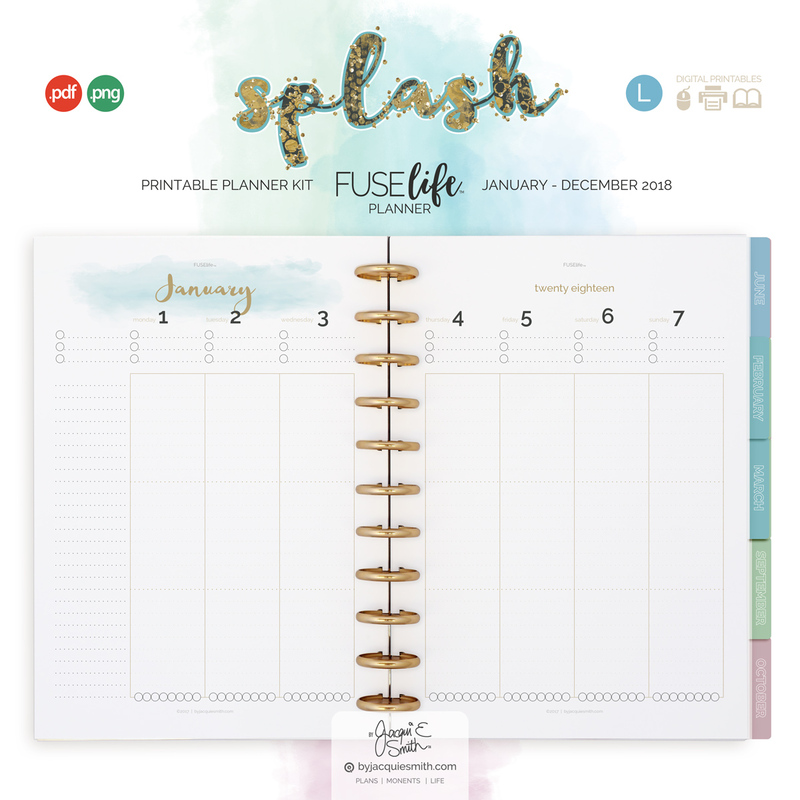 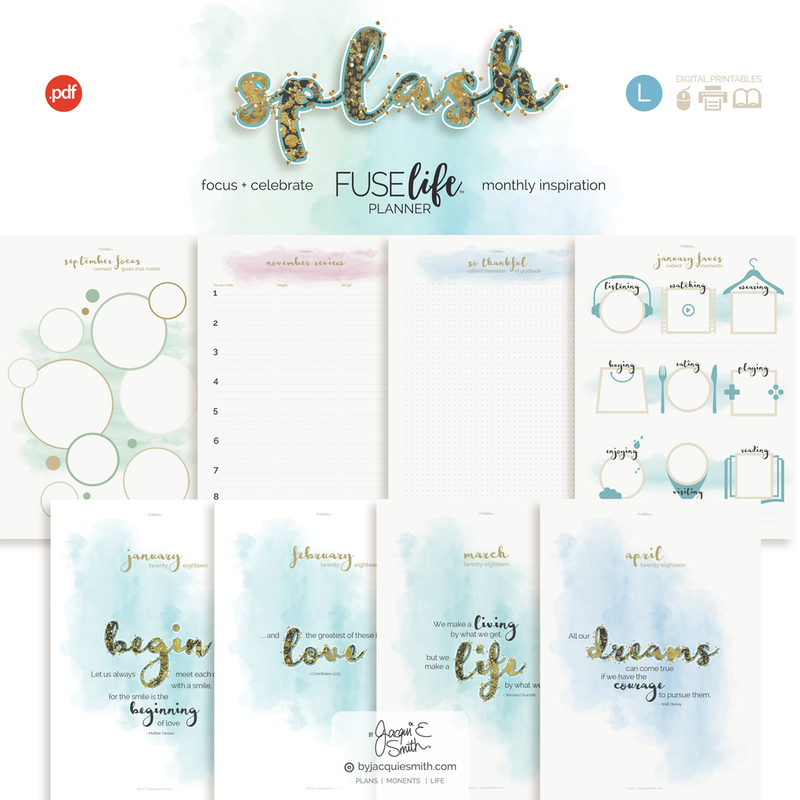 The FUSElife Splash planner is an all new planner for 2018! 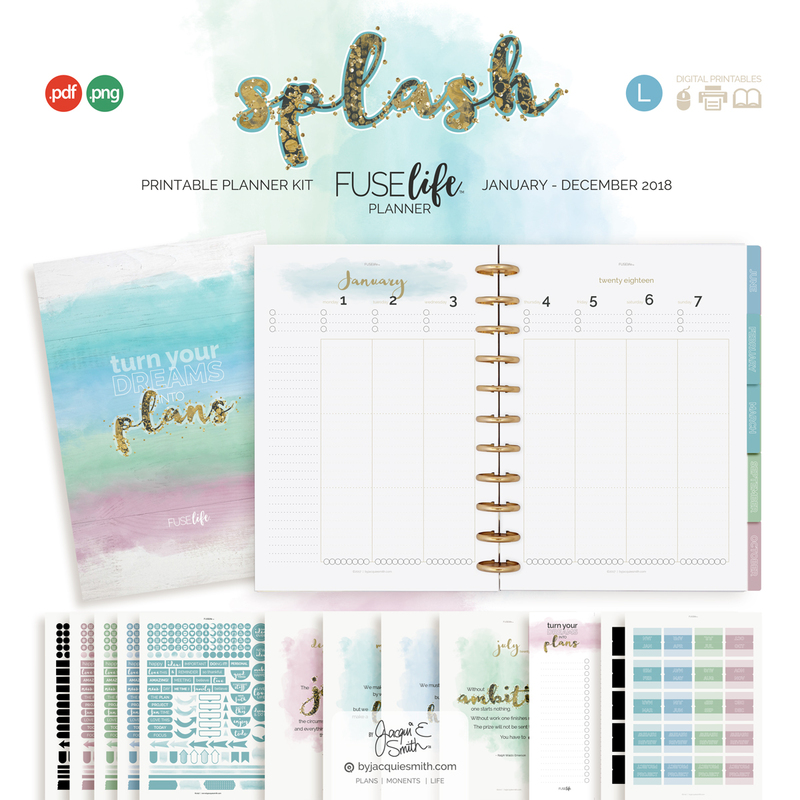 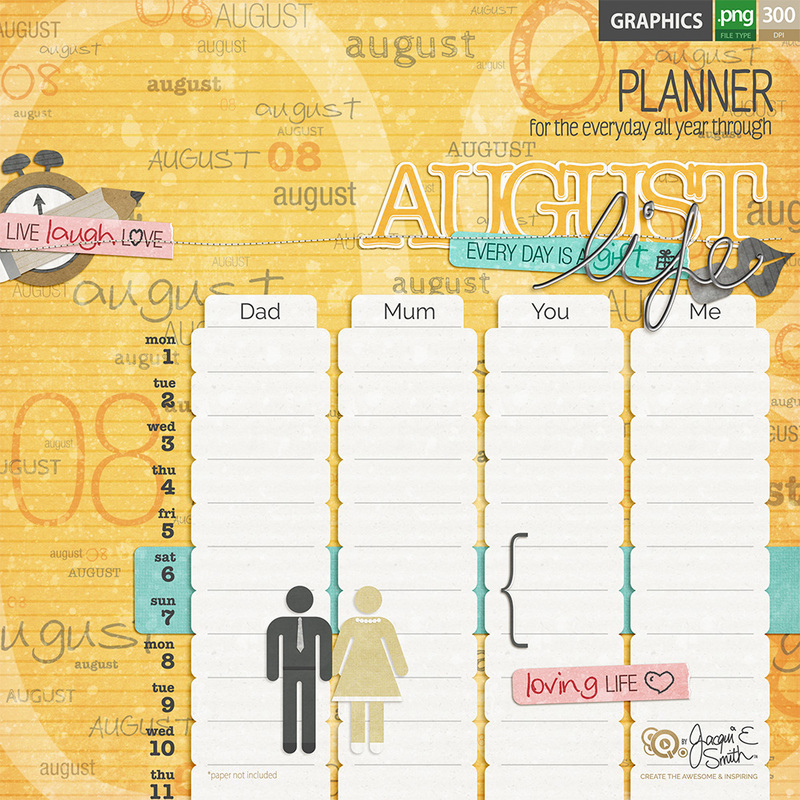 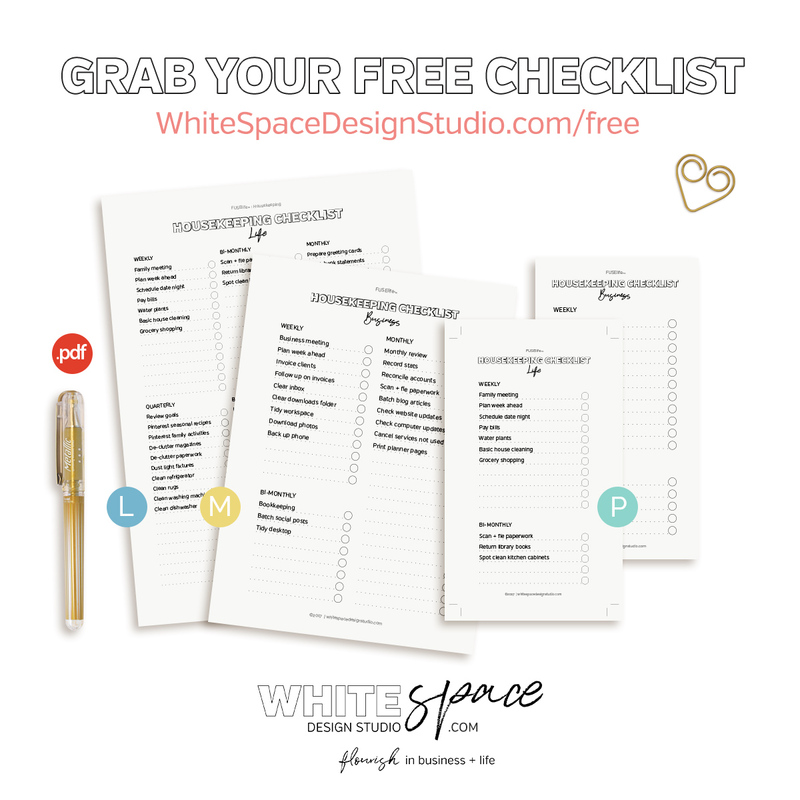 This is a printable planner kit, designed so you can create your very own unique planner. 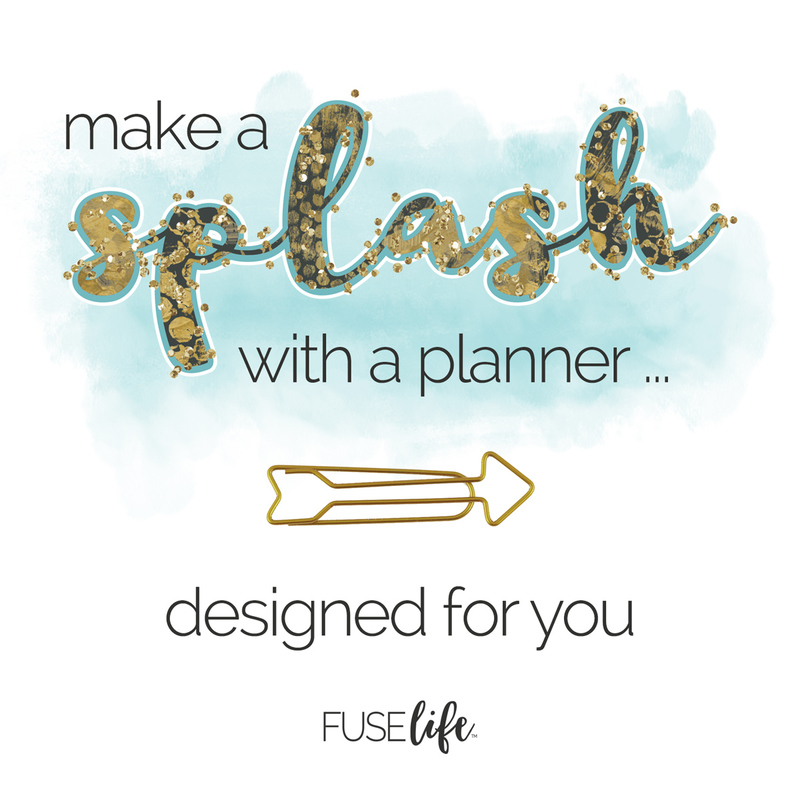 Plan your day + enjoy it with a splash of watercolor, glitter + gold! 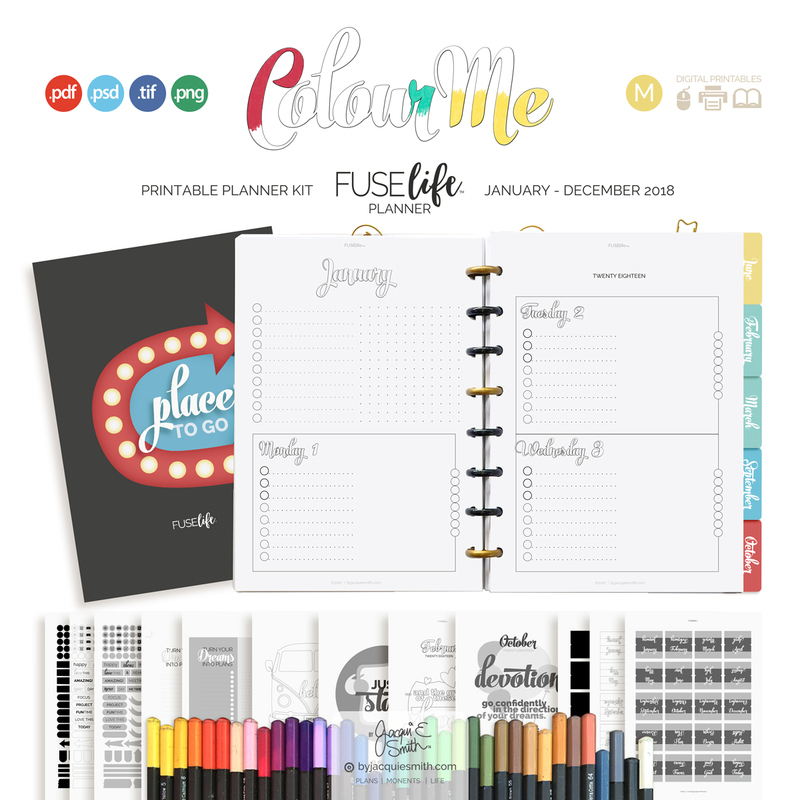 ♥️ Follow the unique FUSElife way to plan your day with more joy + less overwhelm!